Take I-95 to the Maine Turnpike, then exit at Exit 52. Follow signs to I-295 North, take Exit 17. Head north on Route 1, which becomes Main Street. This charming little town is home to L.L.Bean's flagship store, as well as 170 other specialty stores and name brand outlets. Shop in a picturesque outdoor setting. Shop The Body Shop online! The rates listed above are typical but not guaranteed. Please click check availability & rates to get exact rates. * Distances are measured in a straight line. Actual distances using roads may be a bit longer. 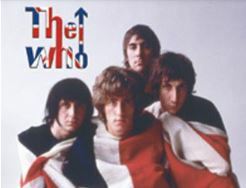 Which hit song by The Who is known for its stuttering lyrics? How many other hit "stutter songs" can you name? All logos, product names, and services identified throughout this website are trademarks or registered trademarks of their respective companies.